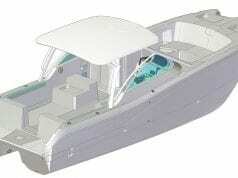 An Aquila Catamaran, one of the top powercats for cruising. 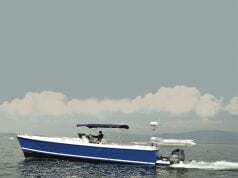 The Aquila 44 Power Catamaran (44’1″ LOA, 21’6″ beam) was designed in collaboration with J&J Design Group, Seaway engineers, and builder Sino Eagle as well as MarineMax. The Aquila 44’s expansive salon and galley feature a 360-degree view, large seating area, hidden TV stowage, and voluminous storage. Corian countertops, refrigerator and freezer, stove, and microwave oven are galley features. Three large cabins with ensuite heads allow guests to travel in privacy. The full-beam forward master stateroom offers a luxurious retreat with office area and king-size bed. 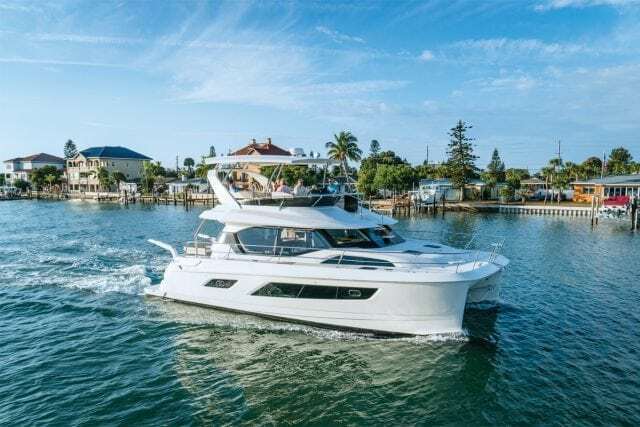 Guests relax on the oversized flybridge with added enclosure, electric grill, and sunpad seating flanking the central helm station while Aquila’s revolutionary flybridge provides direct access to the bow. Entertaining comes easy on the Aquila 44 with a cockpit bar window that opens from the galley to the outdoor aft seating. 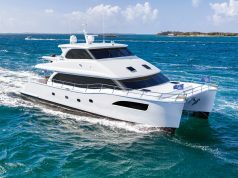 In addition to retail ownership, the Aquila 44 is available for charter ownership through MarineMax Vacations. Powered by twin Volvo Penta D4 225-hp diesel engine, the boat runs to a top speed of 24.4 knots and cruises 241 nautical miles at 14.9 knots.